When we review a paper writing service and its website, we want to assure students that they can count on quality, support, guarantees and privacy protection. This is done fairly well by Qualityassignment. Their website isn’t exciting and some of the font overlaps, making it hard to read, but the services are decent, and most reviews are good ones. One drawback to this site is they don’t offer a clear and visible disclaimer or policy statement. Without being able to see the terms and conditions, a student may not be fully aware of what they can get and what guidelines and rules they must follow. When we ordered a paper from Qualityassignment, it was delivered on time and was pretty good in terms of quality. While it would likely get a decent grade on most courses, it lacked creativity and personality that would have made it stand out. For the basic assignment, this site seems to be a good choice, but doesn’t go above and beyond. The writers on offer also work in a range of subjects, including business, finance, marketing, nursing and more. Though the selection isn’t as high as other sites, the writers here are well versed in what they know. The prices here aren’t as low as other sites but are still decently affordable to many students. The final cost of a paper depends on how long it is, how quickly it is needed, and the quality ordered. Students are able to pay up front or can make instalment payments on their project, making it a good choice for students who are short on cash. A 2,000-word paper starts at about £90 with a £45 deposit required. A 15,000-page paper requires a deposit of £300 with a final cost of £600 pounds. Deadlines range from 2 days to 7 days. Students can talk to a support team member for an exact quote on their assignment. While there is a money back guarantee offered by the site, there doesn’t appear to be many additional discounts that students can take advantage of however, there are a few promotions that be found under the guarantee tab on the menu. They include a 10% discount for making a referral and a lifetime 10% discount after 10 successful referrals. The site also offers what they call Festive Season discounts, which are deals that students can take advantage of during certain parts of the year. The site would do well if they offered deals to repeat customers or offered a loyalty program for their customers. The little details are what makes a site stand out and there are a few perks from Qualityassignment that make it worth a try. 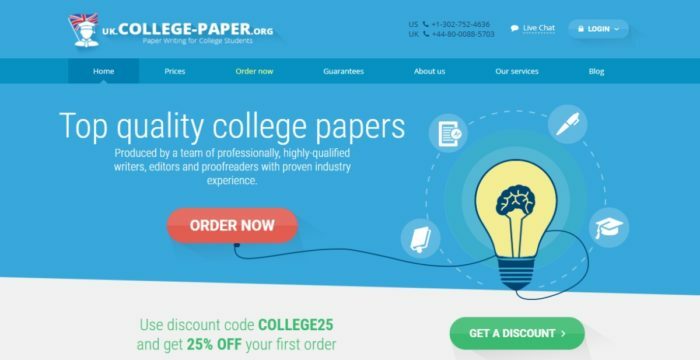 They guarantee a passing grade on any assignment they produce and do a plagiarism check on every paper. They also offer free revisions on every paper. In addition, the site guarantees on-time delivery and only utilises writers who have aMaster’sdegree or are qualified to Ph.D. level. All in all, this site does what it says it will, but doesn’t have all the bells and whistles of some of the better sites out there. It’s a good choice for certain subjects, but may not be right for all of them.